Sometimes the word "Anyone" can be replaced with "Anything," but in general, it's usually "Anyone" to give reference to an actual person (or at least a living thing). There's also a second, far less popular meaning for it. Apparently bae translates to "poop" in Danish. This of course is irrelevant for most of us who don't speak Danish. Okay, so in the English language, bae means before anyone else. But what does that really mean? Read on to find out. anyone considered to be the most important person in another person's life. 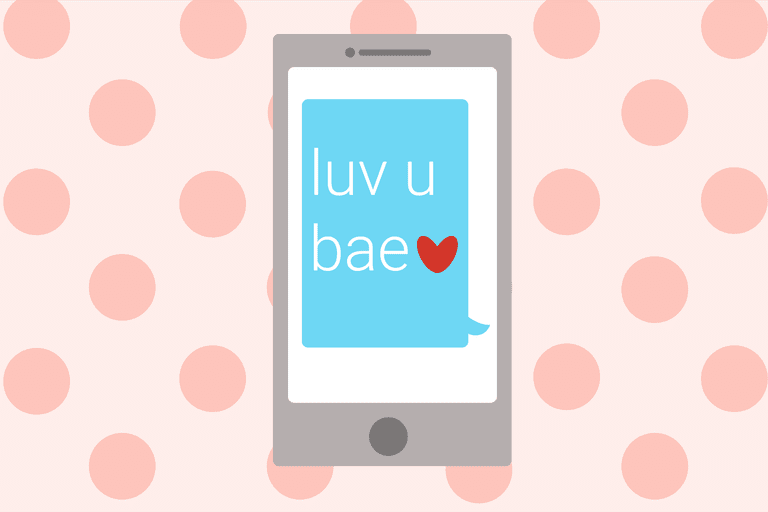 The trend is particularly popular with teens and young adults—many of which type the lowercase version of bae as a word itself as an alternative to babe or boo on social media. People use bae by replacing someone else's name (or her/him/she/he) with it. Sometimes the word "my" is omitted when referring to a significant other. For instance, instead of posting a status update that reads: "Hanging out with Sam," or "Hanging out with my boyfriend," you would say: "Hanging out with bae." You might hear bae pronounced out loud the same way you would say the word bay. It's weird, but it's happening. Many of these online acronyms and abbreviations are now officially part of the English language and can be found in Oxford Dictionaries. "Waiting for bae to come home so we can catch up on the latest episode of OINTB!" "Me and bae just set our wedding date! So excited!" "Just had the best date ever tonight with my bae!" According to Know Your Meme, the term bae can be traced to as far back as 2003 from the first user-submitted definition for it in the Urban Dictionary. Its exact origin is unknown, but it wasn't until 2011 when someone tweeted that the term was an acronym which stood for "before anyone else." If bae has been around for years already, why did we seen such a massive surge in its use all over social media and text messaging throughout 2014 and beyond? Unlike other memes that basically go viral overnight, bae took years to grow as a trend before it finally skyrocketed in use. So, why now? It's not exactly clear, but the slow build up in curiosity and confusion over the term's meaning and pronunciation discussed over social media, which really took off throughout 2013 and the first half of 2014, seemed to have generated enough word-of-mouth spread to reach all corners of the social web. Sometimes that's all you need to turn something into a big deal online. The fact that the web is more social and mobile than ever also has a lot to do with how quickly the bae phenomenon spread. It's been discussed in videos by popular YouTube creators, incorporated into meme photos, captured in text message screenshots and typed into tweets, Facebook statuses, Tumblr posts and more. In July of 2014, popular singer-songwriter Pharrell Williams released a song called Come Get It Bae. Similar to how Drake's song The Motto turned the acronym YOLO (You Only Live Once) into a trendy new term that people started using everywhere online, Pharrell's Come Get It Bae certainly seemed to really propel the popularity of bae across social media. Like most memes and trends that go viral, the bae trend happened very quickly after it was quietly built up for years before gaining enough social media traction to start reaching the masses. And of course, any time an influential celebrity has anything to do with the spread of a potential new trend, virality can take off at an exponential rate. That's just the way it goes sometimes.